At cBrain we have focused on how to support mission critical processes while helping organisations move out of legacy systems. 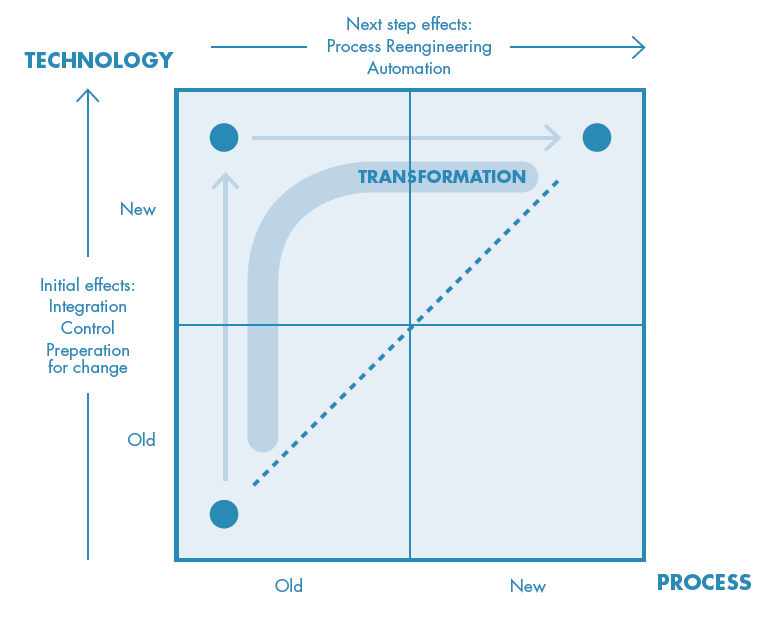 We’ve developed a model and associated method for transformation. It starts by helping organisations get control of the current state and gather the management information to be able to measure flow. We then use an iterative process to automate or remove process steps. Getting in control of the current state also implies being clear about where the responsibility for a piece of work sits: we try to keep the base information for a process in one place, and simply change the responsibility and views of that information as the process requires. We estimate that simply getting in control of your current processes and data can release up to 10% efficiency, and then by introducing re-engineering you reduce up to 50% of operational costs while increasing customer satisfaction. We also use checklists to drive our process model. Using lists as a way of organizing work and ensuring quality has the advantage of being easily understandable, and a neat way of simplifying complex actions. Even when intelligent people know what to do they can help ensure the right outcome by introducing moments of review to ensure that common causes of error are addressed. A checklist consists of a series of tasks which can vary depending on the case. It is these variations that determine which tasks the caseworker should manage during the case. Tasks can be set up through configuration, and documents and communication created automatically.